How to know what the best paintball guns for advanced players are? If you’ve been playing paintball for awhile, you probably have a pretty good idea what your next paintball gun will be. After all you have the internet at your fingertips, so it’s easy to find info about the latest and greatest paintball marker. YouTube is full of paintball gun reviews. But when’s the last time you saw a negative review for a paintball gun? One of the worst kept secrets in paintball is that equipment manufacturers send equipment to internet celebrities for review. Those celebrities are typically sponsored by the manufacturers and there’s an unspoken expectation that all reviews will be positive. With that in mind, how do you navigate through all the noise and find an honest opinion? Chances are your local paintball shop has been in business for awhile. If they’re a full service paintball store, they also work on gear. That means they’ll have plenty of first-hand knowledge when it comes to the features and flaws of various paintball markers and will have a pretty good idea of what the best paintball guns for advanced players are. They know they’ll probably be dealing with whatever marker you buy and the last thing they want to do is sell you a paintball gun that’s going to spend more time on their workbench than in your gear bag. Most paintball stores will include an extended or lifetime labor warranty on equipment purchased through them. The manufacturers don’t reimburse them for that free labor, so problem guns are just money out of their pocket. That’s a huge incentive for them to sell you a paintball gun that is durable. With that in mind, check out your local paintball store and pick their brains about the guns you’re interested in. Also ask them for their own suggestions, as they know better than most what the best paintball guns for advanced players are. Once you’ve narrowed your choices down, talk to the tech at the store and ask him what problems he typically sees with them. Once you’ve got all the information you need, head home and mull over your options for a bit. Now it’s time to do a bit more research on your options. Pull up the ole interwebs and check out PbNation’s manufacturers forums. There you’ll find a huge community of players discussing every paintball gun on the planet. Browse the thread and see what other players are saying about your gun choices. Create a PbNation account, if you don’t already have one, and get involved in the conversations. When it comes to paintball, buying local isn’t just a feel-good thing. 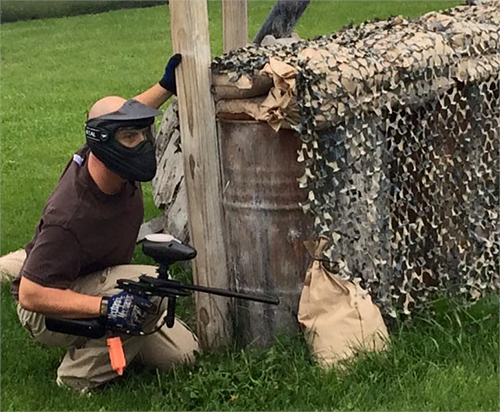 Local paintball shops provide a level of service that simply can’t be found at a faceless online store. Many local paintball stores offer extended warranties on labor. They may also offer free admission passes to paintball fields near you.